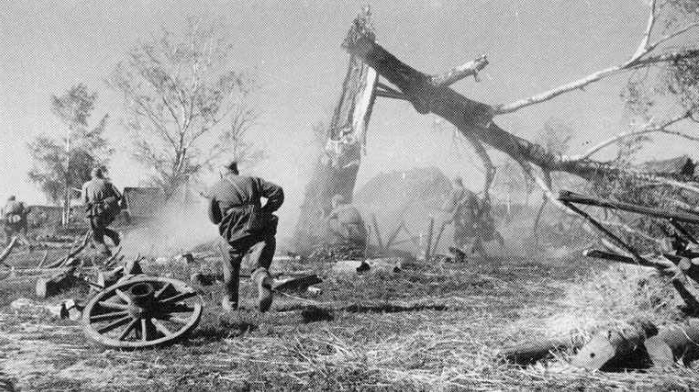 Despite a heavy beating, the Soviet Army was still holding the field and, in some areas, giving better than they got. However, the German ranks were thinning out as their manpower resources were called upon time and again to fight just one more battle. Very often, an entire section of the line would be held by occupying the main village in a region with remnants of a battle-weary company. With winter approaching, possession of these small towns became crucial, as they were often the only shelter for miles around. Piepsk was one such village garrisoned by Company A of the 3rd Battalion, 72nd Infantry Regiment. Knowing the German defenses were sparse, elements of the Russian 169th Rifle Regiment were set to attack and overwhelm the hard-pressed defenders at dawn. 2018-02-27 (D) Doug McMullen vs Steinmetz German win My opponent knew I was coming back to ASL after a two year hiatus and took it easy on me. Even so, my Germans were getting soundly battered and I was ready to surrender around turn 7 when my dice suddenly got white hot and I eventually managed to pull out a miracle win with one unit clinging to a victory buiding amidst a sea of enemies. The scenario seems to me built for the Russian player to Human Wave some of his troops at some point. The German player must carefully design an initially HIP'd defense that can slow an avalanche of low and mid quality russian infantry, perhaps falling back to a strongpoint. OBA is critical for Germans. Draw black cards! Setting up an observer with effective sight lines for spotting is less easy than it might at first seem. 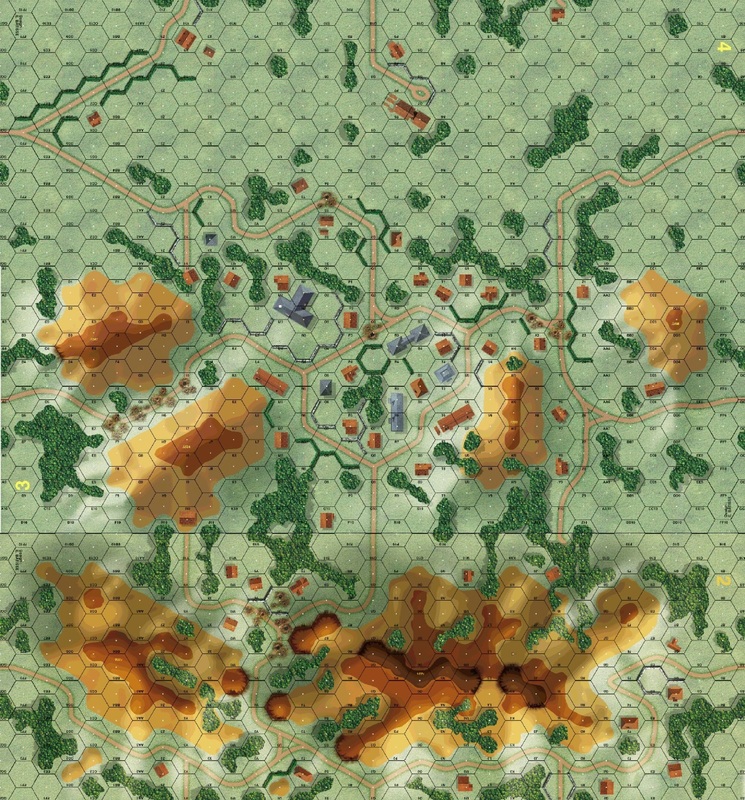 Although the big hills in the south command a lot of views -- intermediate obstacles create lots of blind spots the russians can use to avoid being targetted or to force second card draws. 2017-09-09 (A) Kermit Mullins vs Dan Best German win Great game that lasted for six turns. In the end, the German Arty just crippled my Russians. I was able to win fights on the flanks, but in the village center, the German Arty and Machine guns just decimated my boys. After 6, my Russians gave the concession. 2013-08-26 (A) Jeff B vs Ted Wilcox German win Two turn 7 OBA critical hits destroyed any potential chance the Russians had.